This article is 2905 days old. Grab your cowboy boots and cowboy hats and head downtown this weekend! 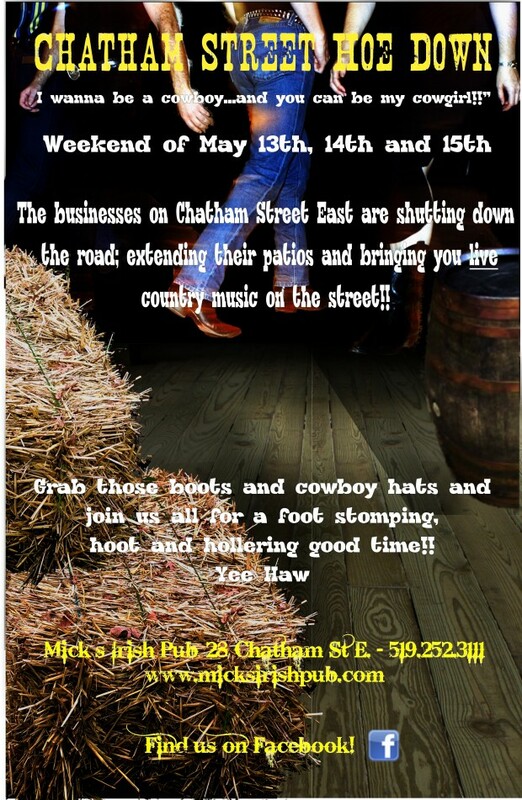 The Chatham Street Hoe Down will shut down the street this coming Friday, Saturday and Sunday, and patios will be extended into the streets! There will be live Country music all three days until midnight on the patio outside of the old Million Dollar Saloon. So, if Country music is your thing, then you don’t want to miss this first time event downtown!